If you’re searching for Where’s Waldo? 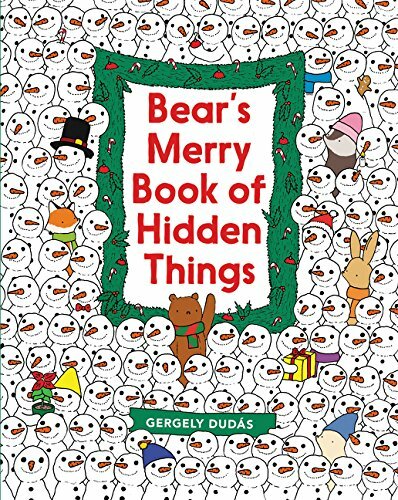 for the next generation, this holiday seek-and-find from internet sensation Gergely Dudás will have you—and your kids—busy for hours. Bear loves the holidays, and this year he's throwing a party for all his animal friends. But there's so much to do to get ready—and he is only one very little bear! Can you help Bear find all the secret treasures he needs for his party? Readers of all ages will find this lush, charming illustrated wonderland irresistible—and irresistibly challenging—and will return to it again and again.